Known as "war diaries," these are daily operational journals created by various naval commands throughout the Navy during WWII. Most war diaries provide a day-to-day record of operational activities and sometimes administrative activities as well. 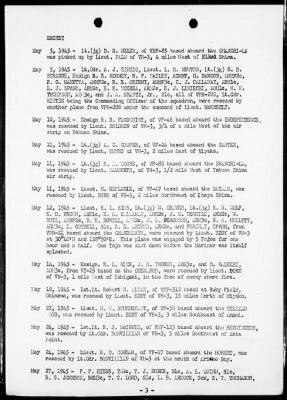 War diaries were submitted by most units in the Navy, and most of the Marine Corps war diaries were submitted by aviation units such as fighter squadrons. The quality of the diaries varies, with some providing detailed accounts, while others contain only cursory information. Also included are action reports and war damage reports.